We have an exciting opportunity for a senior leader to join our team as Managing Director, Production (MDP). The MDP is responsible for the planning, management and supervision of all technical and production elements of productions, presentations, programs and events related activities across Banff Centre. The MDP works with Arts Directors and Artistic Director’s teams to ensure the successful implementation of annual programs, summits and symposia and event initiatives across all Banff Centre programs. The incumbent will lead and manage the theatre, visual arts and media & film technical teams, and develops and implement specific training programs required to maintain technical expertise and oversees the delivery of the practicum training program. Reporting to the Vice President, Operations, the MDP maintains key relationships with creative and production teams involved in programs, presentations, events and conferences on campus and with external organizations such as renters, suppliers and co-production partners. - On an ongoing basis, oversee production contribution to the adjudication and evaluation of proposed projects to ensure that technical/production capacities can successful realize the proposed project. - Directs the design and development of Practicum group training events and workshops as required and appropriate. - 8+ years of experience in production in performing arts and/or digital media. - Technical and production management expertise. 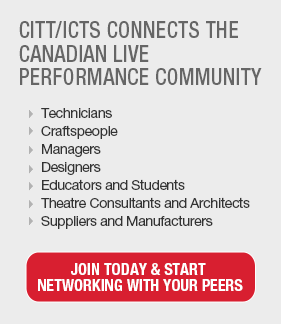 - Experience managing technical and production staff within a unionized environment. - Experience developing capital equipment and technology infrastructure plans. - Excellent strategic, planning, project management skills are required to manage multiple productions and competing deadlines. - Proven ability to coordinate work across different productions areas. - Strong fiscal knowledge and data analysis ability. - Strong organizational skills and the ability to prioritize. - Ability to manage change. - Ability to work under pressure and in a fast paced environment.